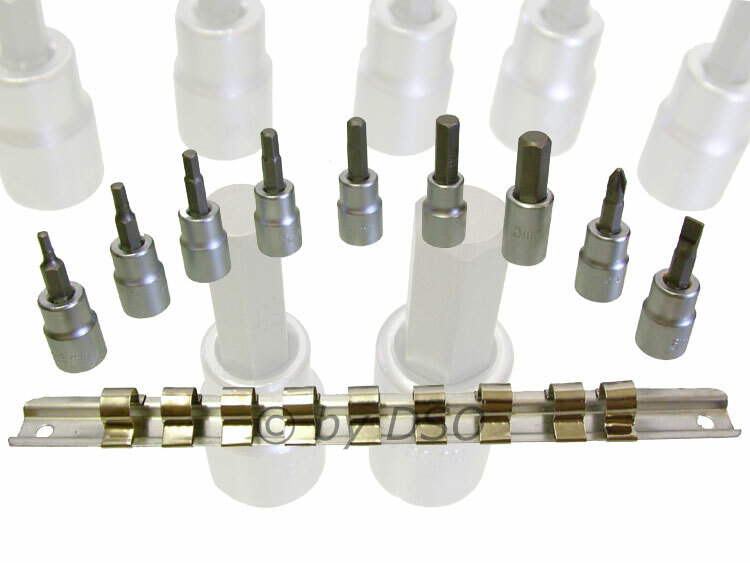 This set is made from high quality heat treated chrome Vanadium Steel, 7 hex bits ranging from 3-10 mm, a no. 2 pozi drive bit and a flat bit (6 mm) are also included. This set fits on a 3/8 inch square drive and will last a long time if properly looked after and kept free from dirt and solvents. This is the perfect kit for all DIY enthusiasts, Car repairers, mechanics, and hobbyists. Enjoy this quality set at our very low price.